Two hundred years ago, immigrants journeyed to Frederick County in search of homesteading opportunities. Today urban immigrants arrive here in droves on weekends in search of antique home accessories. 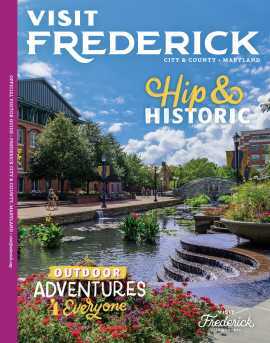 In every corner of Frederick County, from Emmitsburg to New Market and Middletown, you’ll find shops and antique malls with collections originating from every corner of the globe. Thousands of patrons descend on Downtown Frederick where there are an estimated 200 dealers in an eight block area. Even more impressive is their inventory – wonderful, large furniture pieces such as beds, armoires, chests, desks, and dining tables crafted in America, the UK, France, and numerous Asian countries; magnificent grandfather, mantel and wall clocks; vintage silver items; glassware; early 20th century light fixtures in many styles; and architectural items such as wrought iron gates, wooden doors, shutters, and windows.